Inflatable Boat Oars & Oar Parts There is 1 product. 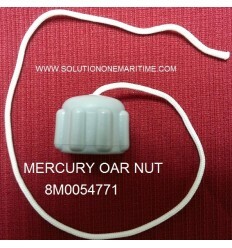 Mercury Oar Nut 8M0054771 This oar nut with attachment string fits the oar holders found on a variety of brands of inflatable boats such as Achilles, Mercury, Dynous, Duras, etc. Look at the image. If it does not look like it will work please do not buy it.